In this two-part series, learn about the 2017 trends we see re-shaping the eCommerce landscape and how they could affect your business. In Part 2, we look at the emergence of messaging platforms turned “everything” apps. These sophisticated hybrids are already taking hold in China and other parts of Southeast Asia. As their ubiquity grows, how can your company take advantage of the trend? So what does it mean for brands and advertisers? So far, TenCent, WeChat’s parent company, has been hesitant to allow brands to take advantage of the precise consumer targeting that such a platform could afford. However, based on its potential and users’ reactions to in-app advertising so far, we wouldn’t be surprised if that changed. WeChat’s competitors in Southeast Asia include Hike Messenger, popular in India, and Viber, owned by Rakuten which is described as the “Amazon of Japan.” Viber includes a much more overt direct purchase function worth noting: e-commerce buttons display items to buy triggered by keywords in users’ conversations. According to TechCrunch, a unique feature of the Anytime app, which would set it apart from its competitors, will be the ability to connect to others based on name alone, without needing to know their phone number. It wouldn’t be Amazon’s first foray into messaging as it’s owned Twitch Messenger, the standalone messaging app for gamers, since 2014. We’ve now explored several trends in eCommerce (see article 1). If we’re reading the cards right, it seems like app hybrids for the on-demand economy may be the next big seismic shift in eCommerce. From social media and gaming merging with eCommerce platforms, to messenger apps merging with assistant/booking/payment, etc platforms, the future possibilities for cross-functional applications are infinite. Speaking of hybrids, we’d be remiss if we didn’t here mention the recent Google Maps-Uber integration. 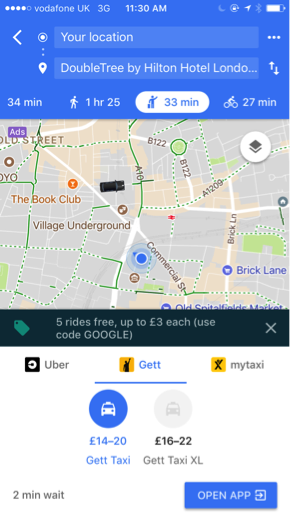 Since early 2017, Google Maps has allowed travelers to link their Uber and Google accounts to hail and book Uber rides from directly within Google Maps. What’s next? 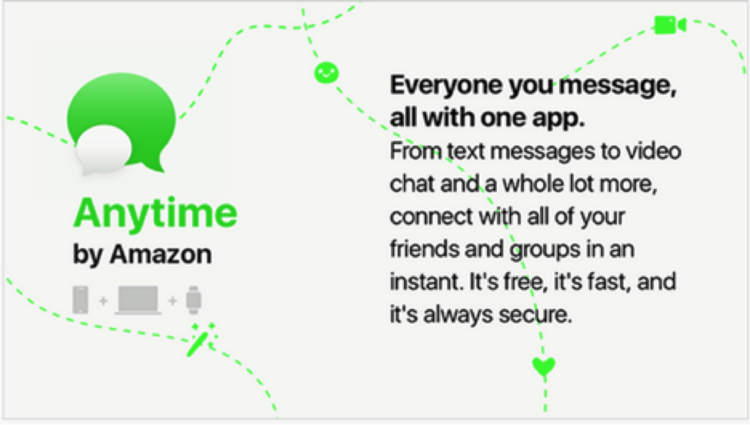 Will Amazon’s alleged Anytime become the WeChat of the West? And with the growth of ad blocking and sponsored-content fatigue, how can marketers and social media managers continue to engage audiences in a way that supports companies’ bottom line? We’d love to hear from you. Get in touch and give us your predictions, insights, and reactions!